On June 30, 2017 Photobucket broke billions of images across the Interlink to extort cash from users. All of my forum images have been repaired. All of my topics have been repaired. I have switched all my images to Flickr. Here is their new pricing plan. The Flickr hammer has come down. The updated Flickr service plans have been announced. 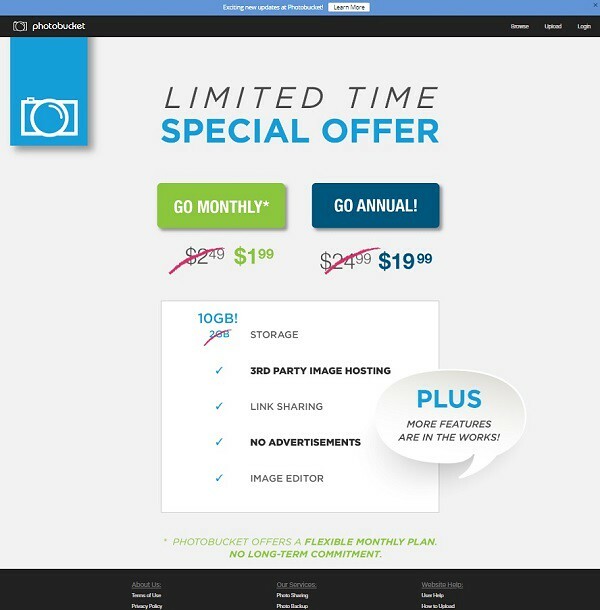 The free plan permits up to 1,000 images to be hosted. Free users with more than 1,000 images will be prohibited from adding additional images and excess images will be deleted, oldest first, starting in January and February. The Flickr Pro pay service is $50/year with unlimited images, enroll before the end of November for $35/year.